Your stomach is queasy, your palms are sweaty, and your mind has gone blank about your opening lines. It's the bog standard, presentation heebie jeebies kicking in. If this sounds familiar, how about some tools to blast them out of the water once and for all? Firstly relax, you’re not alone with this feeling. 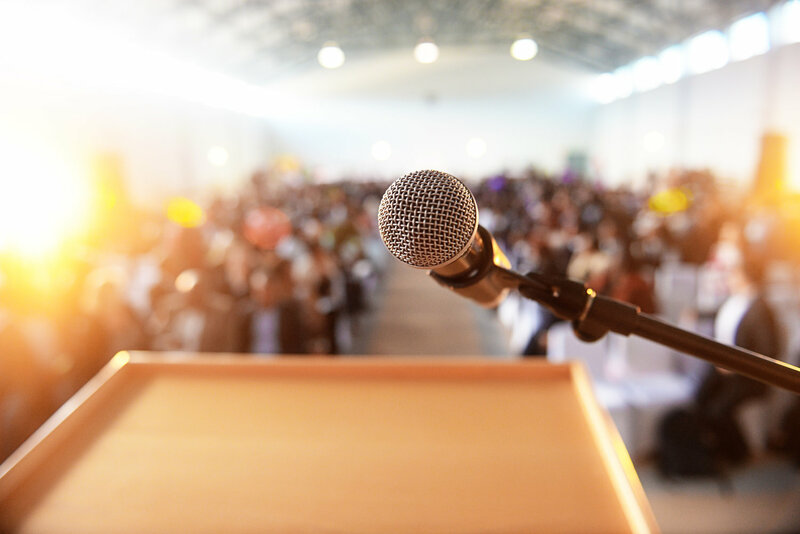 Public speaking can be challenging, even for the most seasoned speaker. 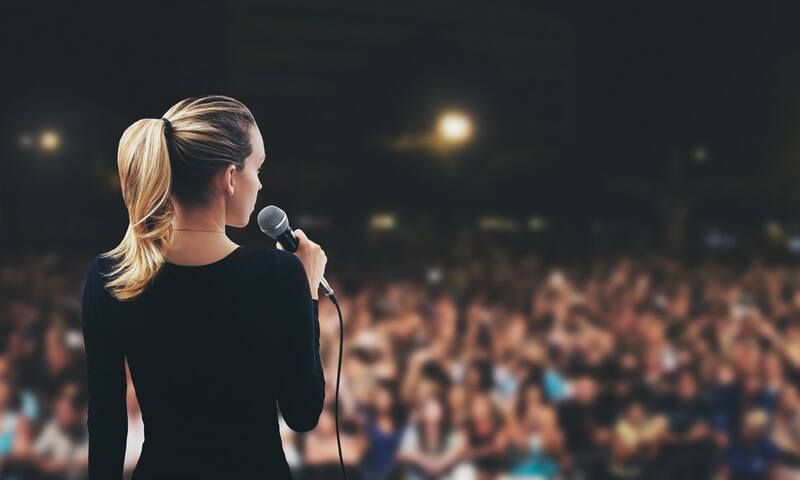 It takes years of practice, lots of mistakes and even a few speech classes, to overcome the fear of public speaking. 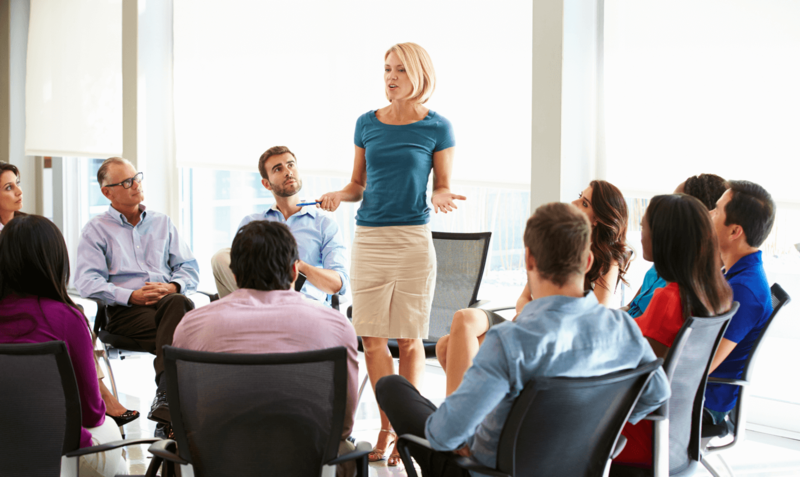 But it all begins with mindset, preparation and a few smart techniques that will help you overcome your nerves and deliver an effective and engaging presentation. So let’s review! It’s important that you overcome your nerves, not by getting rid of them, but by not letting them control your performance. Key to doing this is to acknowledge how you are feeling. Try not to fight your feelings, or tell yourself you shouldn’t feel scared or to stop being silly. The more you get into conflict with your feelings the more you heighten them. Instead, take a mental note of what is going on physically. Be curious about the sensations in your body. “My heart is beating faster than normal. My palms are sweaty.” Tell the nerves they are allowed to be there, but invite them to sit in the corner. By doing this, you allow yourself some space, so that the fears no longer own you, and you remember they are just another passing set of sensations and thoughts. 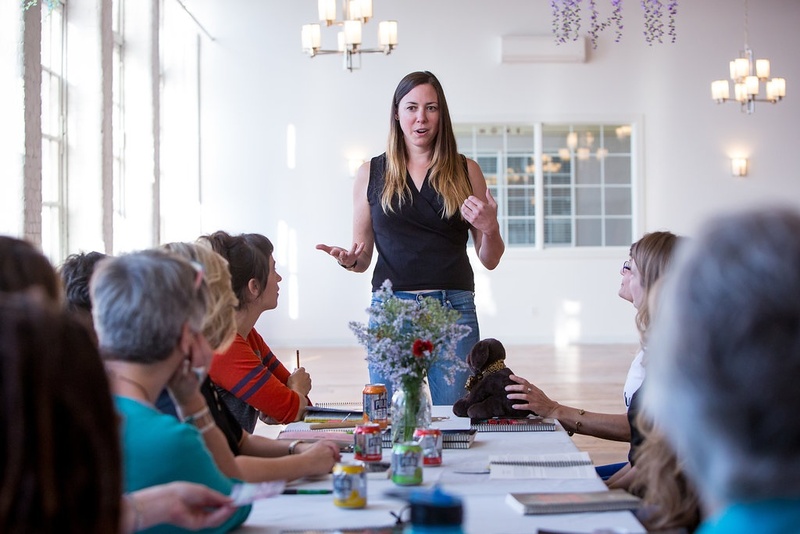 This simple exercise of mindful awareness reduces the power of the nerves to get in the way, and helps strengthen your objective; connect with your audience and get your message across. As human beings we can be pretty tough on ourselves. What if I mess up…? Why is everyone else more confident than me…? How do I be more confident…? The workplace is already fraught with enough social and intellectual pressures, the last person we need to be giving a hard time is us ourselves! So stop asking the impossible, which usually goes along the lines of; “I am extremely nervous, I need to be relaxed!”. The problem with this thinking is that it demands that you completely transform your state of mind in an instant. Instead, try channeling that nervous adrenaline and turn it into excitement. Adrenaline can be a very positive energy, and a decent amount of it is great for a powerful and engaging presentation. Start with a few deep inhalations and exhalations to take the edge off. The wonderfully energetic motivational speaker, Tony Robbins, offers some great advice here. He suggests putting on some upbeat music that gives you that 'fist pump the air' feeling. Couple that with some high octane affirmations of the "I'm so excited, I've got this" ilk, and you'll be raring to go. Obviously, it depends on the situation, but most presentation opportunities would benefit from the 'high on life, just been dancing and feel amazing' kind of energy that the Tony Robbins technique promotes. We’ve heard it all before, practise makes perfect. With presentations, this is absolutely the case! The better rehearsed you are, the more confident you can feel in your ability to deliver and handle any little nerve bumps that might appear along the way. When you stand up to speak, you want to speak with intention. Knowing your material inside out is key to doing this. 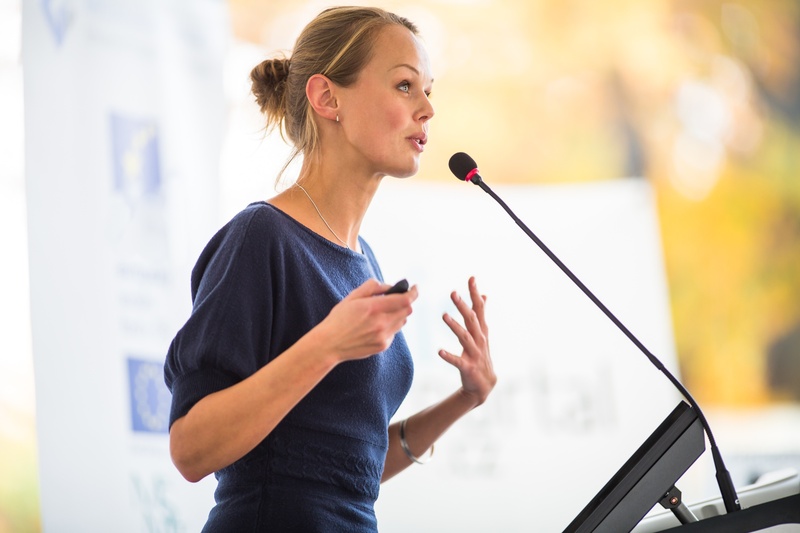 A common misconception is around a need to memorise every word of your presentation. This can be more disheartening than it is helpful as one missed word can lead to your whole presentation being thrown off. A better device is to structure your presentation with a beginning, middle and end. Then get very clear on the points you want to make in each section. Lets say there are three in the introduction, seven in the main body and three at the end. Once you have those key points, many of them will stick as a result of this preparation. So how to get them all to stick and in the right order? One great way is to use your visual memory aligned with storytelling. This is a very powerful and effective technique. Firstly, start by associating an image or an object with each point you make. Make sure that the object you come up with, triggers a quick association with the point you need to make. If the point is a bit more sophisticated, add another object to encapsulate that additional layer. Next, create a little story using the images you have come up with. Make sure the story happens in the order that you need the points to go. Another version of this is called the memory palace and involves using a location that you know (rather than a story) to hold onto the images. I tried revisiting my secondary school, to help memorise the names of the U.S. Presidents in order (there are 44). To get into the car park, I jumped over a washing line (George Washington), where Adam and Eve (John Adams) were playing cricket with Geoffrey Boycott (Thomas Jefferson). Marilyn Manson (James Madison) was in the IT block getting off with Marilyn Monroe (James Monroe) etc. Make sure the story is visual, and you will be surprised how it sticks. When we stand up on stage we tend to expel nervous energy by fidgeting or pacing. An instant sign that we feel uncomfortable with the situation, which also makes our audience feel uneasy. Using the floor to ground you is a good technique to project confidence as well as helping you to feel stronger and more grounded. Stand firmly on the floor with your feet hips’ distance apart. Imagine your feet and legs are tree trunks, and root yourself. Feel your energy spread from your feet into the ground and then energy from the earth come up to meet you. It may sound a bit silly, but this simple visualisation will stop several of the tell-tale ticks that can signal your discomfort to an audience, such as swaying side to side or aimlessly walking around, distracting them from your message. In the moments before you open your mouth to speak, look around the room, smile and make eye contact with people. Smiling is a natural relaxant that sends positive chemicals through your body. It will also help your audience relax and connect with you. Taking a few seconds to create this initial moment of connection with your audience, can reap dividends as it sends messages to you that you are among friends, and gives you space to connect with your objective, which is, in some way to educate or share your ideas with them. Hopefully to enrich their lives in some way. This sets you up for success and boosts your confidence and motivation.